MOLINE, IL - - Western Illinois University-Quad Cities will host a free roundtable discussion for women and girls interested in the topic of "Women in Politics" on Monday, Dec. 10 as part of its Ready to Run program. The event was originally scheduled in November but was postponed due to inclement weather. The event time has also been changed to earlier in the day. The event will be held at 4:30 p.m. in Riverfront Hall, 3200 River Drive, and is open to women of all ages, including high school students. Ready To Run is a nonpartisan campaign training program that encourages and trains women to run for elective office, work on campaigns, and become involved in the public sphere, explained Debbie Kepple-Mamros, assistant to the WIU senior vice president for planning and initiatives. "In line with the timeliness and momentum of the recent midterm elections, this roundtable of guided questions will serve as a great opportunity, and a non-threatening way, for women and girls to discuss women in politics," noted Kepple-Mamros, who serves as director of Ready to Run Illinois. "The roundtable will also serve as a great preview for the kind of topics we'll discuss at the full training coming up in May." 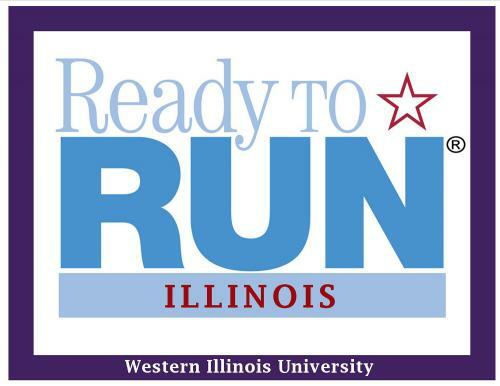 Western Illinois University-Quad Cities serves as Illinois' host institution for the national Ready to Run candidate recruitment and training programs offered by Rutgers University's Center for American Women and Politics. The full training will take place May 31-June 1 on the WIU-QC campus, with campaign consultants and elected officials advising women on topics such as fundraising, judicial campaigns, voter outreach, and more.